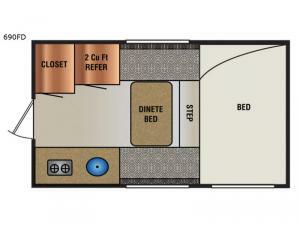 If you have been thinking about all the fun you and two friends can have with a camper in your short or long bed mid-size truck, take a look at this Super Lite 690FD truck camper. It's easy to set up allowing more time to fish, hunt, or play around the campsite. 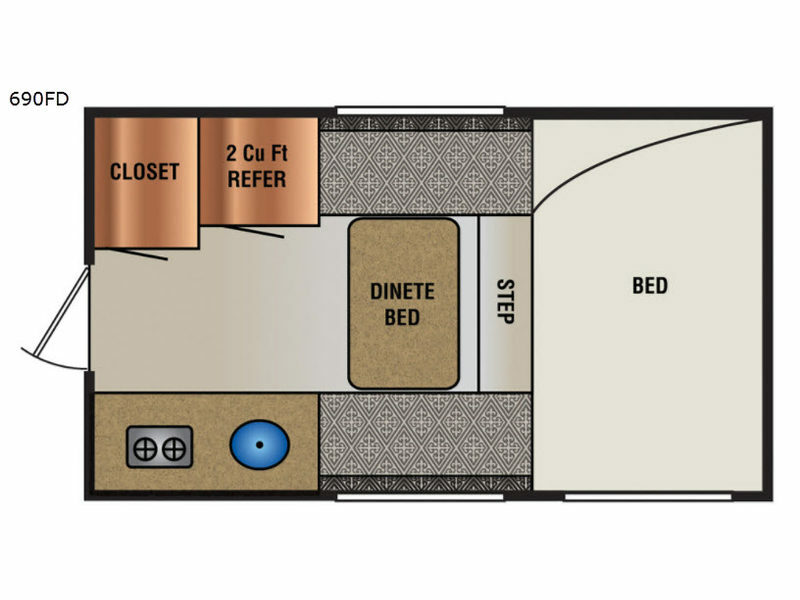 After making dinner and visiting about your next plans, everyone can retire to the 48" X 75" cab-over bed and folded down face-to-face dinette. Load up and head out today!